The opening World Cup game features the two sides ranked the lowest in the competition. 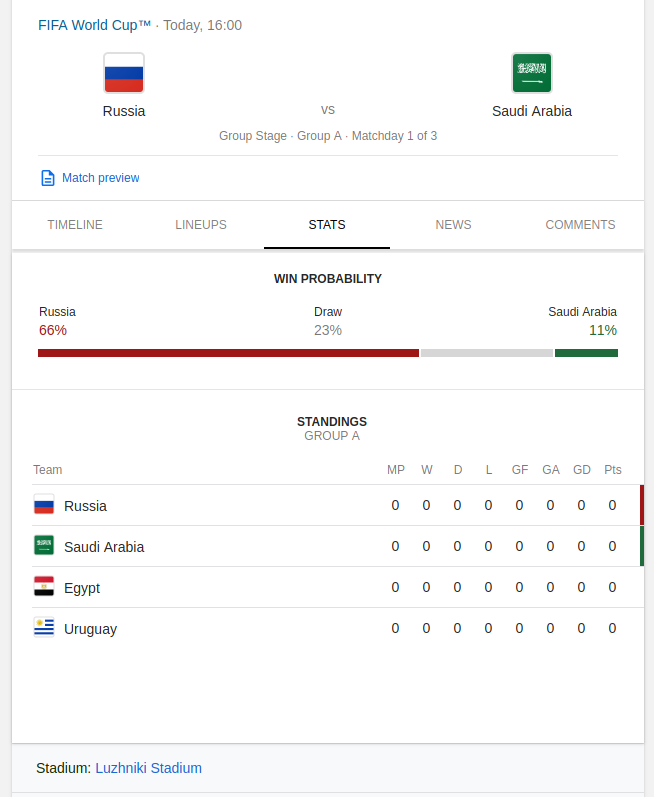 Partly due to a lack of competitive matches, tournament hosts Russia have slipped to 70th in Fifa's rankings, three places lower than Thursday's opponents. Google has spoken (it's also my opinion). Welp, there goes my prediction!